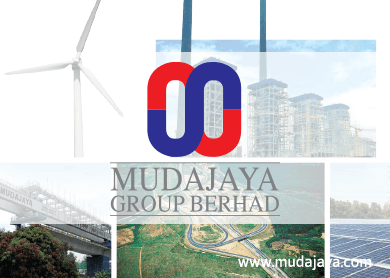 KUALA LUMPUR (June 17): Mudajaya Group Bhd, which is looking to buy power assets in Southeast Asia including Malaysia, is keen on acquiring the power assets belonging to debt-laden 1Malaysia Development Bhd (1MDB), said its group managing director and chief executive officer James Wong. "We are interested to look into 1MDB's power assets. We are not in any discussion at the moment. They (1MDB) have not approached us, neither have we approached them. But if they do present themselves and the price is right, we are keen to explore," he told reporters after the group's annual general meeting today. Three power assets are currently parked under 1MDB's wholly-owned subsidiary Edra Global Energy Bhd, and are said to have an enterprise value of RM16 billion to RM18 billion. 1MDB had in February said Edra Energy will be monetised in 2015. Apart from Mudajaya, IJM Corp Bhd, Tenaga Nasional Bhd, Malakoff Corp Bhd and Singapore’s government-linked company Sembcorp Industries Ltd have reportedly indicated their interests in the acquisition of these power assets. Wong, meanwhile, refuted a media report that Mudajaya is looking to sell its power generation asset in India. "There are no such talks. We are not looking to sell (our power asset in India). On the contrary, we are on the lookout to acquire power assets in Malaysia and Southeast Asia," he said. He added that the 4x360MW coal-fired power plant in Chattisgarh, India is scheduled to be completed and commissioned next year. Mudajaya has a 26% stake in RKM Powergen Pte Ltd, the developer of the power plant. Mudajaya is looking to diversify the group and grow its recurring income streams as its mainstay – construction segment – is lumpy in nature and its profit margins are thin. Wong said the group is targeting for its power segment to contribute up to 50% of the group's bottomline beyond 2016. For the financial year ended Dec 31, 2014, the power segment contributed a pre-tax profit of RM3.2 million. This compared with the group's pre-tax loss of RM61.6 million. Wong also said the group is more optimistic about its prospects next year as income from its India power plant kicks in. The group reported a net loss of RM19.66 million on revenue of RM165.23 million for the first quarter ended March 31, 2015. Mudajaya (fundamental: 0.55; valuation: 1.2) shares fell 0.8% to RM1.24 in morning trading, with 168,900 shares done.